Between 14:45 and 23:00 on Tuesday 19th June, offender(s) broke a lock securing a perimeter fence and once entry was gained a lock/handle was angle-grinded off of a metal cabin at the base of a telephone mast. It is unclear if entry was gained or if anything was stolen as the door locked on itself blocking staff access. If you have any information, please contact the police on 101. Or if you wish to remain anonymous please call crime stoppers on 0800 555 111. 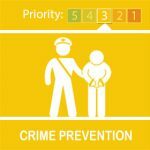 Remember to report anything suspicious in your area on either 101 non-emergency number or 999 in an emergency. 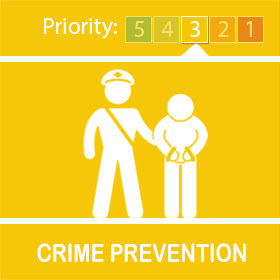 Barton Road-Haslingfield Dwelling burglary Between the 28th May at 17:00 and the 30th May at 12:00hrs, unknown offender/s have gained entry to a property by forcing the rear door to open. It is unclear what has been taken. If you have any information which may assist us with the investigation into these crimes then please call 101, or call crime stoppers anonymously 0800 555 111. 08/05/2018 between 22:49 – 22:57 Harston Road, Haslingfield A crowbar was used to force entry through a warehouse door and a large quantity of lead was stolen from within. 01/04/2018 – 10/05/2018 New road, Haslingfield. The door of a house was jemmied open and an untidy search carried out. If you have any information which may assist with the investigation into these crimes then please call 101, or call crime stoppers anonymously 0800 555 111. Next Wednesday, February 21 we will be hosting 24 hours of crime prevention activities across the county covering bike theft, purse dipping, vehicle crime and dwelling burglary. We will also have a range of security products for sale at cost price and will also be offering to security mark property. 01/02/2018- 13/02/2018 Porkers Lane, Haslingfield CF0084750218 Criminal damage. Offender(s) have damaged a communal structure. ALARMS: One of the most effective deterrents is to install a burglar alarm. Ensure it is set every time you leave the house. SECURE ENTRY POINTS: Don’t leave any windows or doors unlocked or ajar as these can be easy access points for a burglar. IF YOU ARE GOING AWAY: make your home look lived in, ask your neighbours to keep an eye out and install timer lights. You are at much less risk of being the next victim if burglars think you are at home. As the nights get darker, there is an increased risk of burglary when many homes will look obviously unoccupied. This can make your property more attractive to a potential burglar who would not like to be seen or discovered. CF0652201117 Harston Road, Haslingfield – Offender(s) have forced entry into a metal storage container, nothing noted as stolen. Committed between 01:30- 02:30hrs 08/10/2017. Offender(s) have caused damage to the roof of the Church attempting to steal lead. CF0578101017 refers. Garage break-in, High street, Haslingfield, committed between 10:00- 10:00hrs 20/09/2017. Offender has broken into a garage and stolen a drill and case. CF0539070917 refers. If you have any information relating to this crime, please contact the police on 101. Or if you wish to remain anonymous please call crime stoppers on 0800 555 111.